Children’s Pastor, Are You a Part of the Church Body? If you’re like most children’s pastors, you might want to protest this question. Of course, you’re in church. You practically live at the church. When you’re not there teaching or ministering, you’re planning events or getting curriculum ready for the next quarter. Look at the question again. I didn’t ask if you are ever in the church. I asked if you’re part of the Church body. Many children’s pastors aren’t. They come in on Sunday and go straight to the children’s wing. When they are finished, they are usually the last ones to leave. They can spend an entire Sunday without ever talking to anyone in the church who isn’t a student or involved in student ministry. So I’ll ask again, are you a part of the church body? Your ministry to children never connects in a meaningful way with other ministries in the church. You haven’t been to a service in the main sanctuary for months. You don’t know anyone not involved in leadership or ministry. The children of your church are always separated from the adults. You never go to a church event that doesn’t involved children’s ministry. The problem with not being a part of the church is that you and the children you minister to become separated from the body of Christ. You don’t have the fellowship, encouragement, exhortation, and accountability that comes with being a part of the church body. As a children’s pastor, if you’re not connected with the church body, you won’t find meaningful ways to connect your students to the rest of the church. When that happens, they’ll leave when the graduate from your ministry because they haven’t become a part of the church. There is also a danger of spiritual burnout when you are not regularly connecting with the church body and having your spirit fed. Be in the main service at least once a month. No exceptions! If the worker who was supposed to be in children’s church isn’t there. Take the children in the sanctuary with you. Have regular times for your students to be a part of the main service. Have the children be in the main service from time to time. Some churches do this once a month. It is not only important that your students are in the service, they need to be a part of the service. Have them stand and worship during the worship time. Talk to the pastor about connecting with children during the sermon by having a children’s sermon or having something in the message that connects with them. You can also have the children sing or do a performance during the service. Get your pastor onboard with encouraging the congregation to get to know the children. A prayer mentor program is a great way to do this. Each adult commits to praying for a child in your church. That adult will have the address, birthday, e-mail, and phone number of the child so he can stay in touch. Find ways to get your students involved in other ministries in the church. They could be involved with doing a fundraiser for a missions project or serve food during a benevolence night. Brainstorm with other ministry leaders to find out how your students can be involved. Be involved with ministries that have nothing to do with children’s ministry. Every children’s pastor is busy, but it is vital for you to feed yourself before you can provide for your students’ spiritual help. Build relationships with congregational members who will never be in children’s ministry. 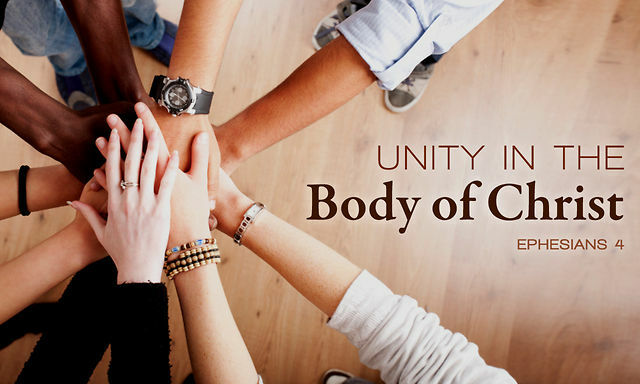 This won’t benefit your ministry, but it will connect you with the body of Christ. Ask God to help you make this a priority. This entry was posted in Encouragement For Children's Ministers, Leadership, Parents and Congregation. Bookmark the permalink.